This is a continuation from Soulship 1 : Quenching the Thirst. This time around I went with the husband, his parents and his uncles and aunties. There were 11 of us family members and in the group there were 22 people altogether. It is quite a small group. We went with Tabung Haji. We had a mutawwif together with an ustaz. It is very helpful to have them around to guide us, to help us with the check-ins at the hotels, keeping all our passports, bringing those who are not well to clinicians and hospitals, sharing beneficial knowledge, and also giving us talks and reminders during our bus rides and making sure that everything goes smoothly. Alhamdulillah. Of course, before umrah, there are preparations that need to be done. You will have to apply for your visa. To submit your visa, you need to get a meningococcal vaccine shot and certify your marriage certificate or birth certificate. 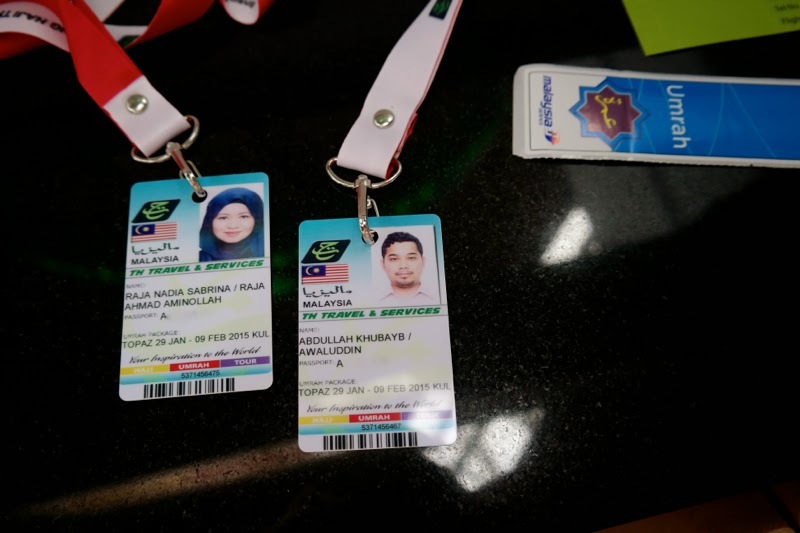 For women, especially, those that want to go to Umrah will have to be accompanied by their husbands or male family members or mahram (brother, father, uncle or sons). Anyways, back to the preparation for umrah... We were also given a list of things to bring for the umrah trip. When I first looked at the list I was actually really overwhelmed. There are so many things that I didn't have or haven't gotten. It was only less than a week to go. So I quickly bought the necessities. I was so blessed that two of my best friends also loaned their stuffs for me to bring there. Other than the material type of preparation, we are also advised to spiritually prepare ourselves a few weeks before we left. By doing the solat sunats, reading and reciting more of the Quran. I must admit though during my first umrah trip I wasn't spiritually prepared before I left. I didn't really do any reading of the Quran and the solat sunats (supererogatory prayer). I only actually started when I went to Madinah and Mekkah. The usuals are solat Tahiyatul Masjid, Solat Taubat (repentance), Solat Syukur , Solat Hajat. I even learned to do my first solat dhuha when I was in Madinah. I remember I was just starting to memorise Surah al-Dhuha at that time. And then when I came back I craved for it. Eventhough it is not obligatory, I felt my day was incomplete if I don't steal some time to do it between 8am-12pm. I fell in love with surah al-Dhuha and the meaning of the supplication (do'a) after the solat Dhuha prayer. For umrah, depending on your package, you either go to Makkah Al-Mukarramah first or Madinah Al-Munawwarah. There is a difference because if you want to enter Makkah to do your umrah, you have to be in the state of ihram before you enter the City. Meaning you have to wear it on the plane. 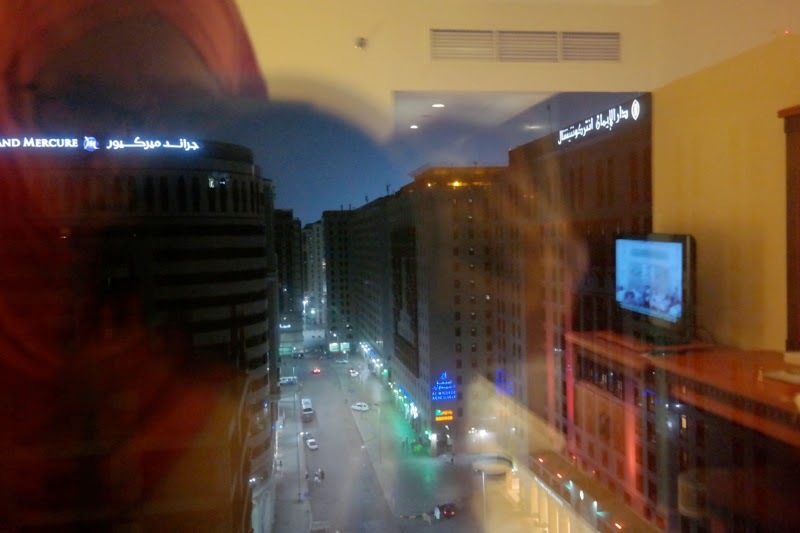 This time around, we went to Madinah first. 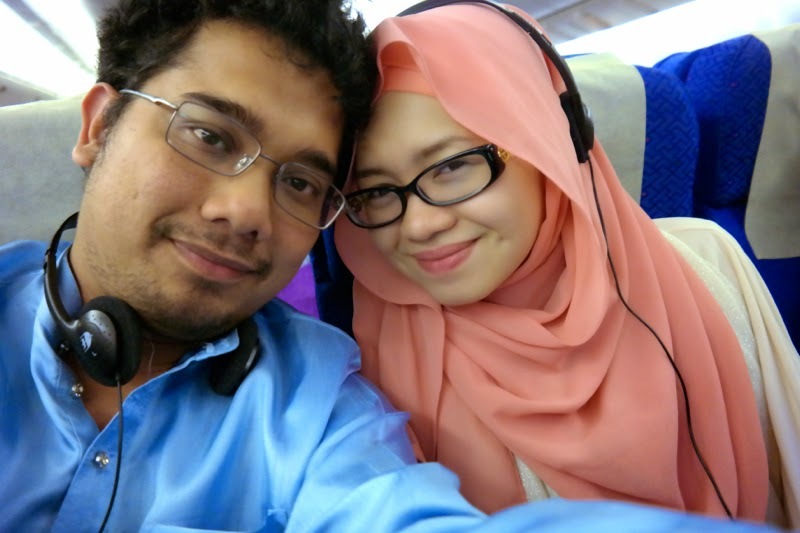 In this post I'm sharing photos of us before we left Malaysia and pictures of us at the Jeddah airport after the 13 hour flight. 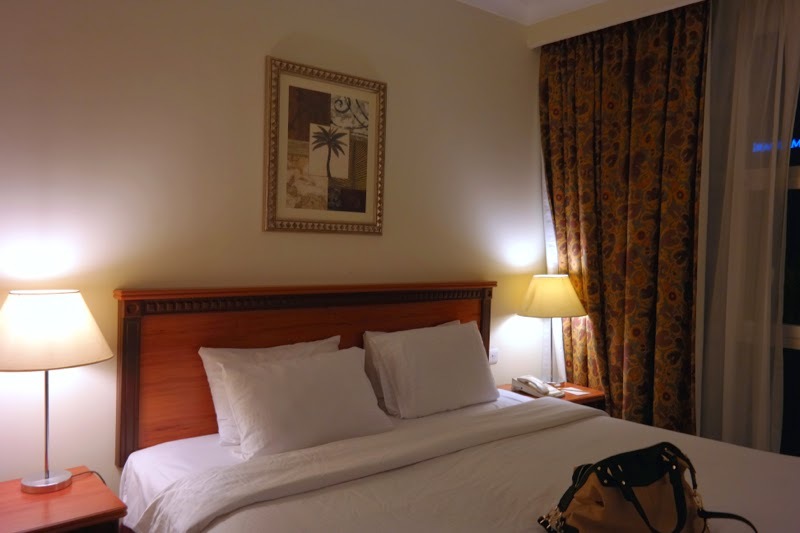 Stepping foot at Jeddah alone already makes me so happy. After the long flight I was just so excited and it felt so serene. 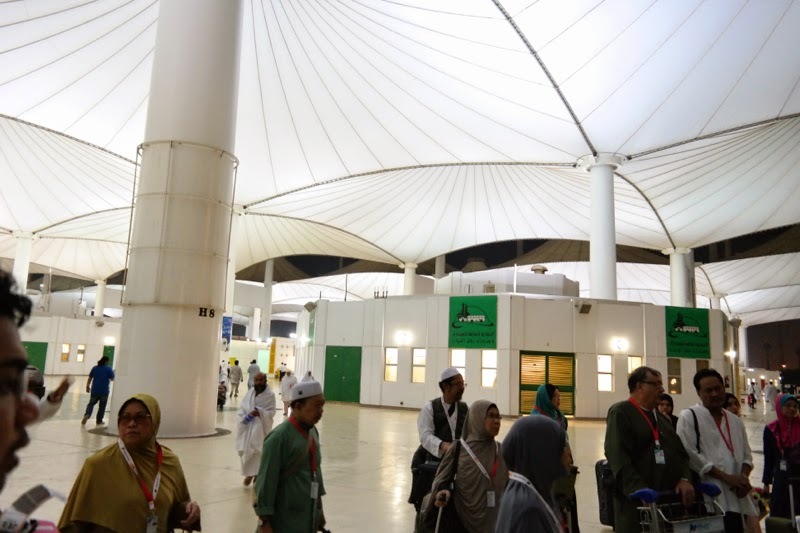 The Jeddah airport is quite beautiful with the umbrella-like roof covers. 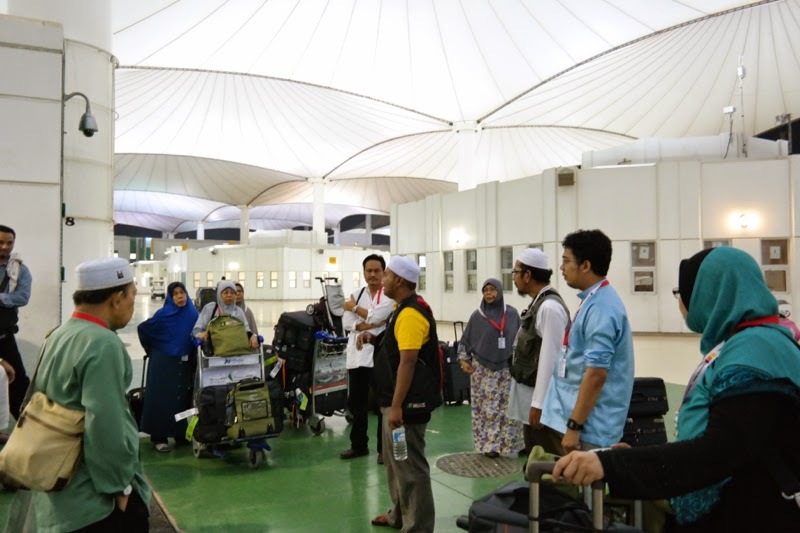 We arrived slightly after 11 p.m. We performed our Maghrib and Isya' prayers at the airport and then we took the bus to Madinah. I think most of us slept all the way. We reached there after a 5 hour bus ride. If you have anything at all you need to know or want me to share about my umrah trip do let me know and probably I'll try do a blogpost to explain about it or try to reply your comments. 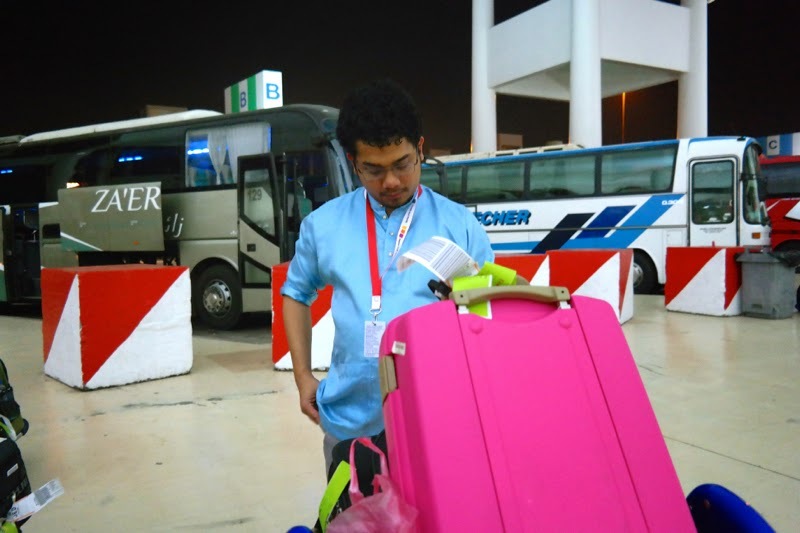 Here in this post are photos (and captions) captured by me and Khubayb from KLIA to Jeddah and then when we reached our hotel in Madinah the next day. Memories that will last a lifetime, insyaAllah. 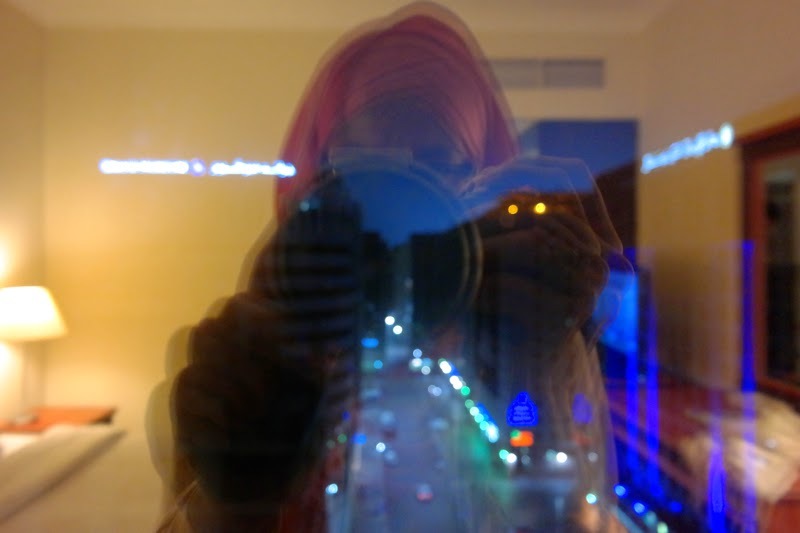 Happy me when I reached Jeddah. This was captured after we have passéd immigration. Everything went so quickly and smoothly. This was taken while we waited to board our bus. 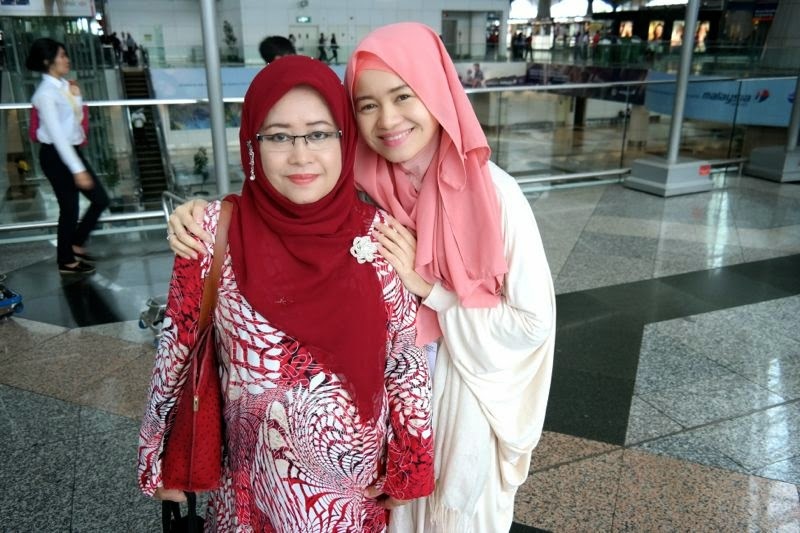 My mom, Wan, sending me off at KLIA. 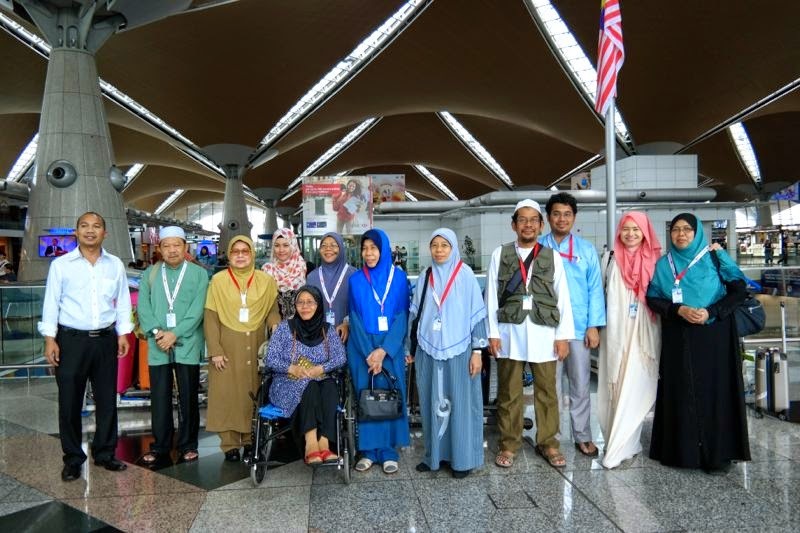 I hope next time I will get to go for umrah with my parents too :) InsyaAllah. 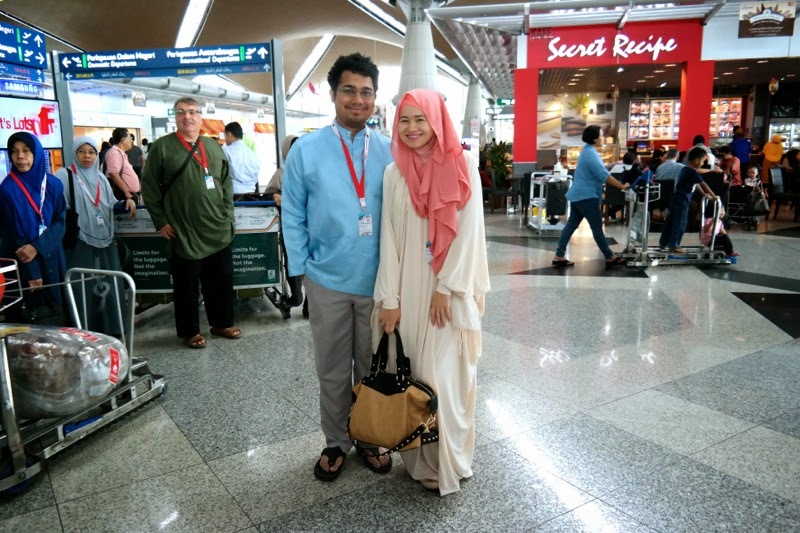 My brother HAriz who sent me off at the airport took this photo of Khubayb and I. My mother took this photo of me and my in-laws. 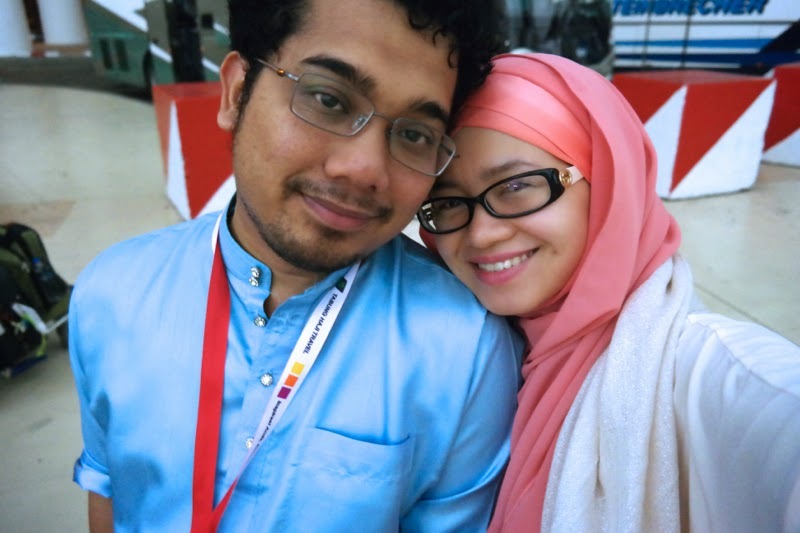 My first umrah trip with the husband, Khubayb. Can't describe my excitedness at this time. One of the major steps we have taken as husband and wife. with my MIL and mother, Mama and Wan. 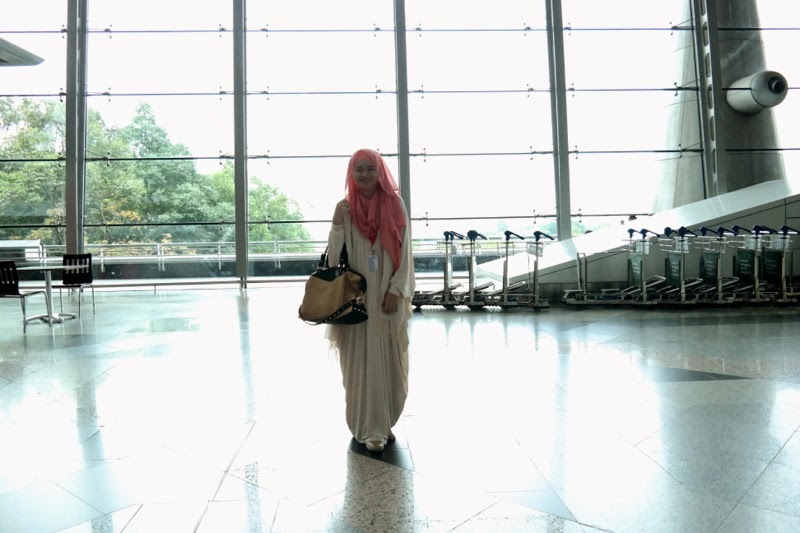 I remember I was singing Menuju ke Madinah (by Al-Mawlid) with Khubayb on the way to board the plane. Just super excited at the time. After we slept after few hours, we woke up and I said let's take a selfie. It's so nice that there's an audio and visual al-Quran for us to listen to and read the translation on our way to Jeddah. 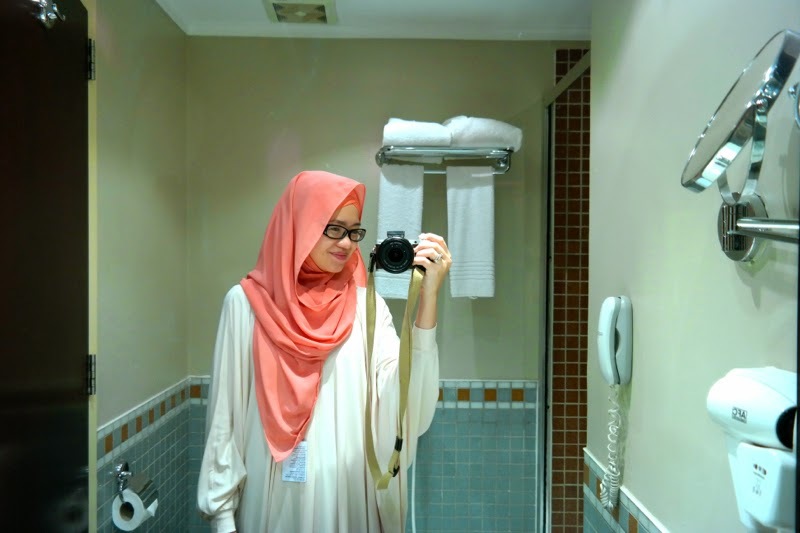 I wore aere's ZEPHYR Draped Dress on top of a long sleeved dress and a shawl on my beck together with a Sugarscarf. Briefing by our tour guide before we go on the bus. Of course a selfie before he starts to carry all the bags into the bus. That's our bus at the back. Za'er. 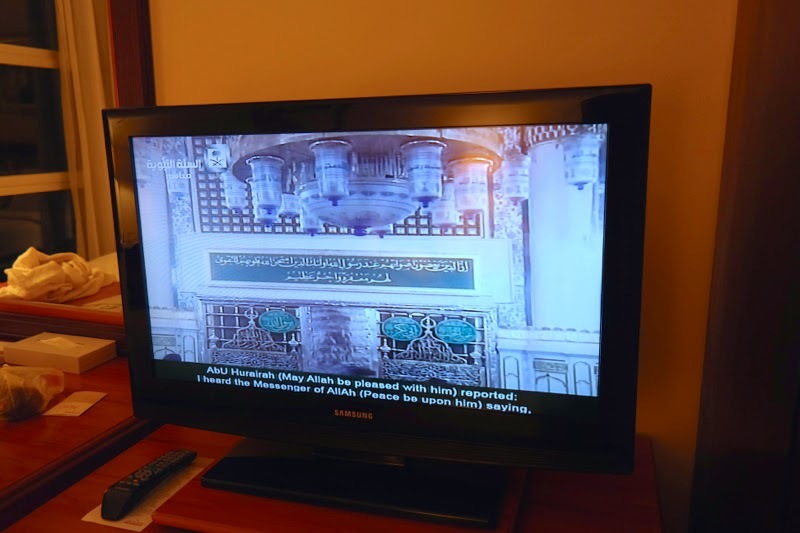 When we on the TV we will always hear the melodious reading of the Holy Quran or the HAdiths of the Prophet and the translation at the bottom. There are also images of the surroundings and the happenings in the Mosque. Captured the view from the hotel room. The beautiful streets of the city of Madinah. I miss... so very much.